I apologize for being absent for so long. As I mentioned on the Facebook page a little over a week ago, I had to have some minor surgery. The procedure was supposed to be pretty simple and take only 45 minutes to an hour to complete. Things turned out to be more complicated than the doctors anticipated, however, and the procedure that was supposed to take less than an hour turned into 4 hours on the table for me. Naturally, this lengthened the planned recovery time as well. I am now pretty much back to normal and will be trying to get back into the swing of things. This post, while not the topic I had intended for my first article back, is an attempt to do that. Recently, I was interviewed by Jim Harold for his Paranormal Podcast program. You can download/stream the interview here. During the course of the interview, Jim asked me about the visual I had of what I believe to have been a wood ape in the Sam Houston National Forest in May of 2005 (you can read my account of this sighting here). During this portion of the interview, I mentioned several reasons why I felt it was highly unlikely what I witnessed was a person perpetrating a hoax. Toward the end of my relating of the account, I mentioned, somewhat in jest, that one of the reasons I believe a hoax to have been unlikely was that, “This is Texas. Everybody has a gun. This guy would have been taking his life in his hands running around in an ape suit” (paraphrase). I say “somewhat in jest” because, obviously, not every Texan owns a gun and of those that do, not everyone carries one everywhere they go. The comment was an attempt to inject a bit of levity into the interview while still making a valid point. That point being, while not every Texan carries a gun, a LOT of them do, making a hoax along these lines a very dangerous undertaking. I cannot be sure whether this commenter is asking a serious question or if he is taking a dig of some kind at me. I suspect it is the latter. Even if that is the case, at the heart of the comment lays a legitimate question, actually more than one. Was I carrying a gun that night as I claim so many Texans do? If so, why did I not attempt to collect the specimen I feel is necessary in order to prove the existence of the wood ape/sasquatch? These questions are fair enough so, here goes. Was I carrying a gun that night? Yes, I was. I hold a CHL (concealed handgun license) here in the state of Texas and was legally carrying a sidearm that night. According to the latest data I could find, and I am very open to being corrected if there is more current data out there, there are in excess of 500,000 CHL holders in Texas. While this is a significant number, many might find it surprisingly low for a state with a population of approximately 26,528,398 as of 2013. Part of the reason more Texans do not obtain a CHL is that it is legal to carry a firearm in your vehicle here without a license. One only needs a CHL if they wish to carry a concealed weapon after they leave their vehicle. How many unlicensed Texans carry a weapon in their vehicle? Your guess is as good as mine on that, but I will say that the number increases every day. I also think it is safe to assume more Texans living in rural areas carry a weapon in their vehicle than those living in urban areas. So, you see, while I was attempting to bring a bit of levity to the interview when I mentioned the risk any would be hoaxers would be taking by donning an ape suit and traipsing about a lonely forest service road in rural Texas, the point is valid. A lot of Texans, including me, carry a weapon on their person or in their vehicle. To attempt to perpetrate such a hoax is almost suicidal in nature. I was not being hypocritical, as “Bobodean” seems to be implying, by making the statement I did. I was carrying that night. I know many, many other fellow Texans do the same on a daily basis and anyone attempting to perpetrate some kind of bigfoot hoax in this part of the world is taking a huge risk because of it. Fine, you may think. Point taken. It still does not explain why you did not shoot that night. That is true enough. So, why did I not take the shot? The sighting was fleeting. As detailed in my report, I was sitting in the front passenger seat looking out to the right of the vehicle when my friend brought the car to a stop and asked, “What is that?” I turned, leaned forward to get a better look and watched the subject turn and walk from the road into the woods to our left. The entire incident lasted only a few seconds. There is simply no way I could have unstrapped my seat belt, exited the vehicle, drawn my weapon and fired before the subject disappeared into the forest. Having said that, and I feel this is very important, I would not have done so even if there had been more time. The first rule taught in any hunting safety course is that you must absolutely, positively identify your target before drawing a bead and pulling the trigger. You get no “do overs” once you take a shot. You have to be sure. I was not sure what I was looking at that night, not initially. Even though I was out looking and hoping for this exact scenario, it took several seconds for my mind to work out exactly what was standing in that road. By the time I realized what I was likely seeing, it was gone. It is only in hindsight that I have become absolutely convinced what I saw that night was a living, breathing wood ape and not a man in a costume of some kind. Re-enactments, comparative measurements, etc. confirm that what I thought was “man-sized” was actually much larger. I did not have the luxury of all that data that night in 2005. I had only a few fleeting seconds in which to decide what to do. As has been established, I would not have had the time to fire a shot anyway but, even if I had been walking down that road, instead of riding shotgun in a vehicle, and able to draw my weapon quickly, I would still not have taken the shot. I simply could not be sure of what was in front of me in that moment. I do not feel this diminishes the truth behind my statement about a hoaxer taking his life in his hands by pulling a stunt along these lines, however, as there are a lot of folks out there who are less disciplined when it comes to what they are willing to shoot at and under what circumstances. There are other reasons. I am sure most of you have read accounts where hunters claiming to have had a wood ape in their sights did not pull the trigger because they felt they “didn’t have enough gun.” I certainly fell into that category that night. I was carrying a 9mm semi-automatic handgun that is meant more for self-defense “fight in a phone booth” situations than for taking down big game at 40 yards. I could go on but I am sure you get the idea by now. Again, while I get the feeling that “Bobodean” was taking a dig at me, he did touch on an aspect of my sighting that I have never explained in detail before. I think this post should serve to explain why I made the statement I did in the interview with Jim Harold and why, despite being armed that night, I did not take the shot. 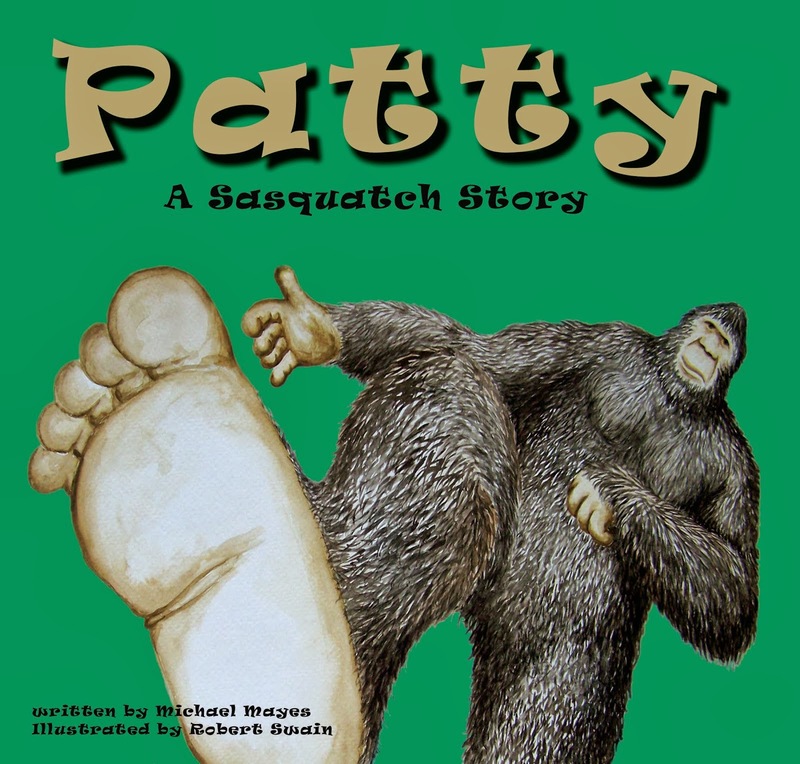 I was interviewed recently by Jim Harold of The Paranormal Podcast on the topic of wood apes/bigfoot. The interview is now up and ready for listening/download. I was a little nervous at first but I think, overall, it went well. Jim was gracious, professional and respectful of the topic. Give it a listen. I hope you enjoy it. 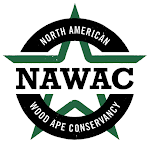 The mission of the North American Wood Ape Conservancy is to facilitate official recognition and conservation of what it believes is a rare unlisted North American anthropoid species. 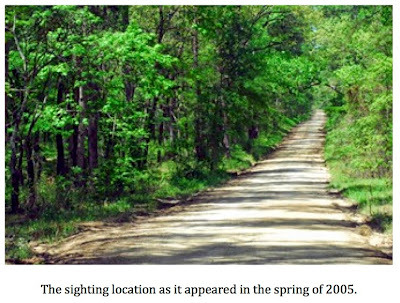 Pursuant to those objectives, the organization has focused its time and resources in the Ouachita Mountain Ecoregion, dispatching teams to conduct prolonged searches and document all pertinent observations in a location with a history of reported sightings of large ape-like creatures. The investigations, conducted over the course of four years, ranged from sixty to one hundred twenty days in duration, and produced experiences, evidence, and information thought to be significant, though not definitive to the point of validating the existence of a native North American anthropoid species. Some of the more notable thoughts and impressions recorded by scores of NAWAC team members are described and discussed in the Ouachita Project monograph. If you entertain the possibility that the North American wood ape might exist, then this is something you are going to want to read. 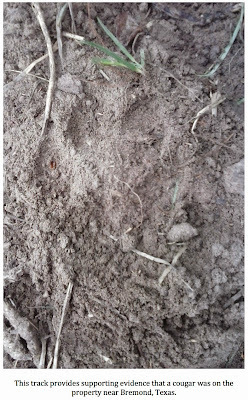 Visit the NAWAC website to download your copy and gain access to more than a dozen of the most intriguing audio clips recorded by the NAWAC in the place we call X.
I received an email last week from a reader in Bremond, Texas detailing experiences with a mountain lion there over the last several days. The lady who wrote the email described losing multiple chickens to the predator. She also claimed to have had a pig injured by the cat. Her email is below. Please note, I have redacted the reader’s last name. I do not know if she would want that revealed. I can tell you that the last name was provided in the original email. 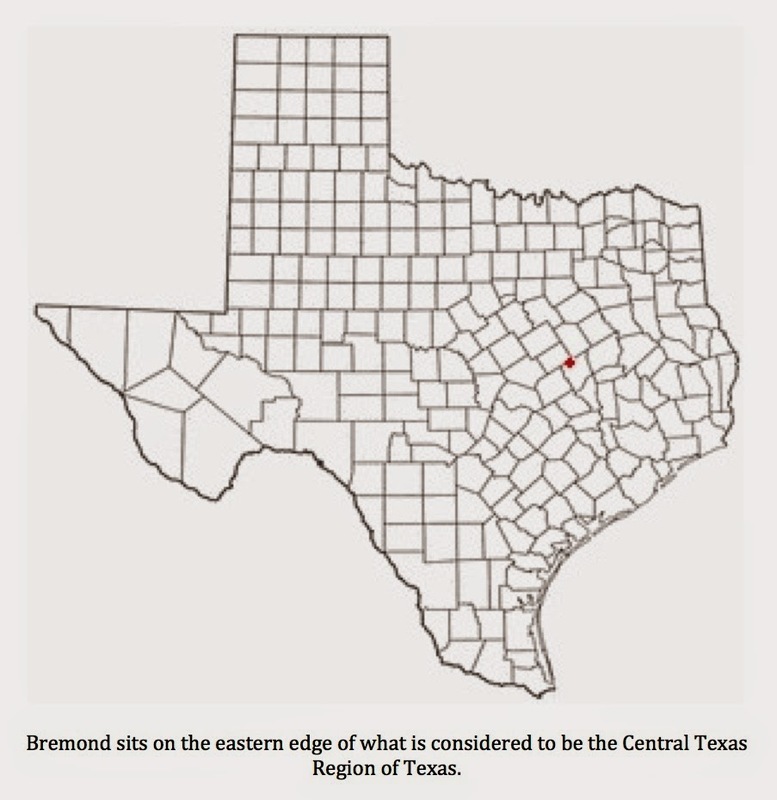 “We live in Bremond, Texas. This cat was on our back porch last night and killed 14 chickens and one of our mini pot bellied pigs from 4:30pm to 6:00pm... we left at 4:30, pig and chickens were fine, came back home about 6:00 and chickens were dead everywhere and pig was tore up in the flank. Then this cat was on our back porch. I get a lot of emails along these lines. 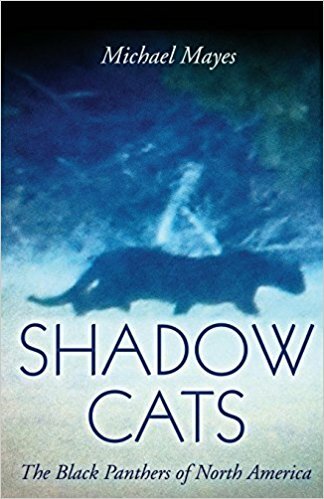 Most of the time, the readers who are reporting the incidents never see the predator responsible and can only speculate as to what the culprit might have been. This time is different. 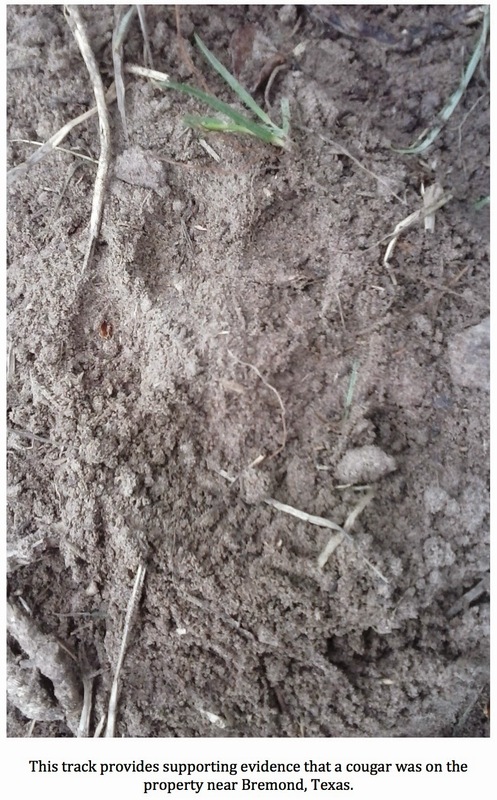 Bridget provided not only photos of tracks, but a shot of the cat itself as it sat on her porch. 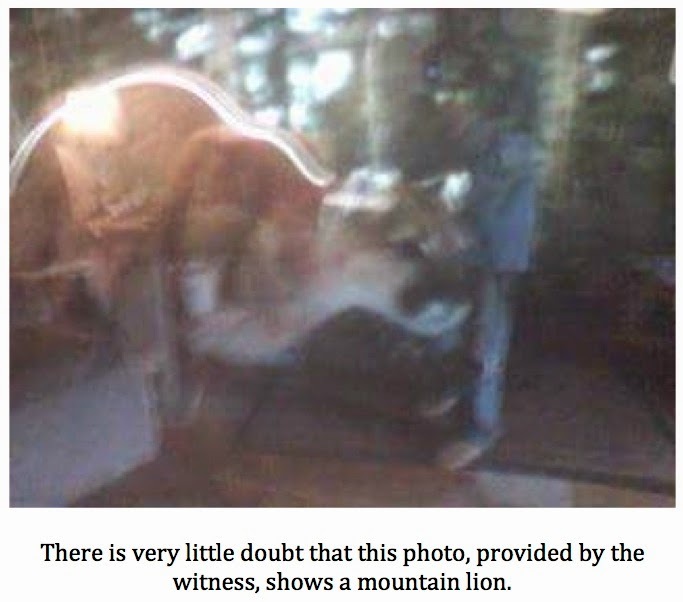 There is no doubt that the cat in the photo is a cougar. I have replied to Bridget asking for some additional information and permission to visit the property, as it is not far from where I live. I have yet to hear back from her. I have been holding the photo for about a week in the hopes that I would have some more details on the incident but decided to move forward, rather than waiting any longer. I still hope to hear back from Bridget and get some additional details. Critics will, no doubt, consider the fact that this reader has yet to respond to my queries as a sign something fishy is going on with this report. Certainly, that is possible; however, I feel like this report is likely genuine. The email I received was a matter of fact run down of what happened with no embellishment. Generally, this is a good sign. Could this be a hoax? I suppose so. I really do not get that feeling, however. 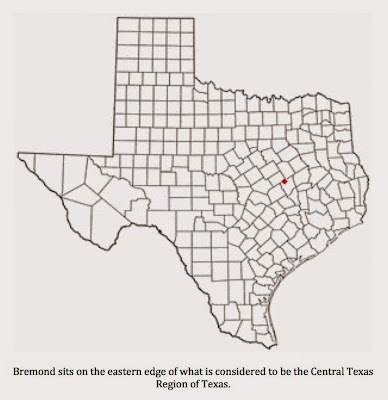 Bremond is located in central Texas and is considered to be outside of the normally accepted range of mountain lions in the Lone Star State. 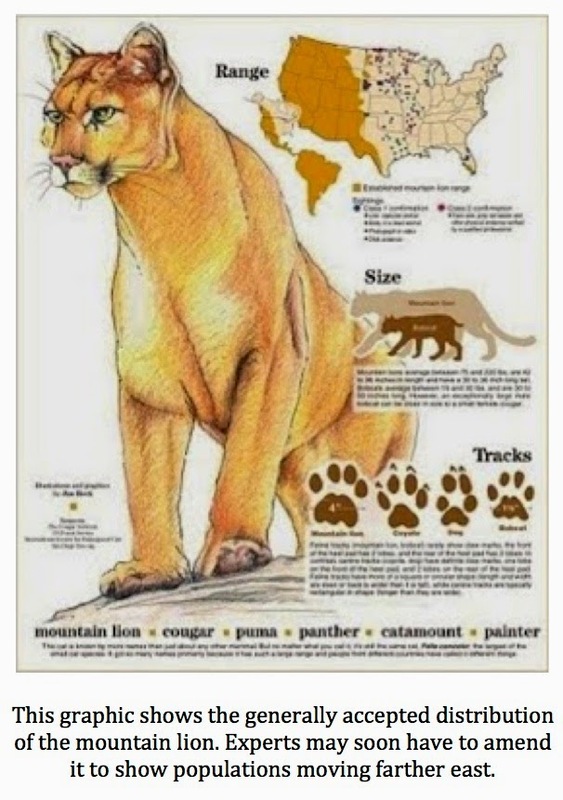 According to the Texas Parks & Wildlife, “The Mountain Lion is found throughout the Trans-Pecos, as well as the brushlands of south Texas and portions of the Hill Country.” TPWD does concede, however that, “Sighting and kill reports indicate that mountain lions now occur in more counties than they did 10 years ago and appear to be expanding their range into central Texas.” My experiences, along with the many anecdotal reports I have received would seem to confirm this last statement. As stated above, I do hope to hear back from Bridget and, possibly, visit the property. Whether that happens or not, mountain lions seem to be making a nice comeback in Texas and are beginning to refill a niche that has long been vacant in most of the Lone Star State. As they do so, there are bound to be some clashes between these predators and rural property owners. Hopefully, lions and people will be able to learn to coexist. I would hate to lose these majestic cats again from all but the westernmost and southernmost parts of Texas. If that occurs, these magnificent cats might not get another chance. "Mountain Lion (Puma Concolor)." Texas Parks & Wildlife. Web. 2 Mar. 2015. <http://tpwd.texas.gov/huntwild/wild/species/mlion/>.